This Sunday, my friend Josh and I went to the University of California in Santa Cruz. UC is a unique campus nestled in rolling, forested hills overlooking the Pacific Ocean and Monterey Bay. 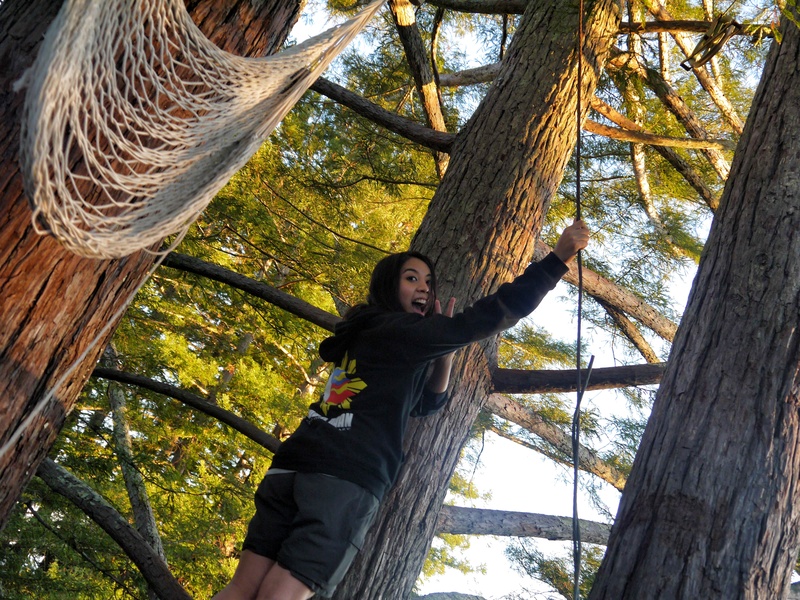 Students in the school often wander throughout the grounds–going into caves, building tree forts, and doing what we did today: tree climbing. 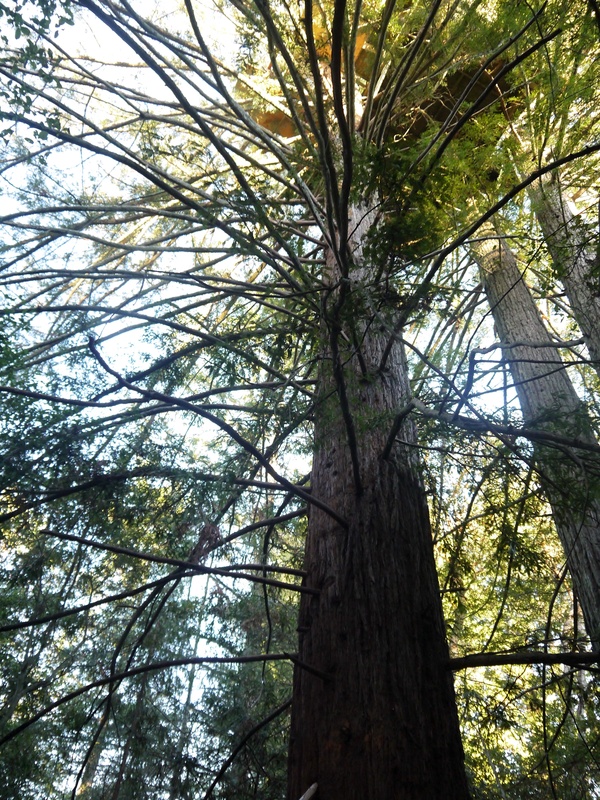 The massive tree we climbed had two levels–the first had a wooden platform, complete with a trapdoor, painted art on the floor, a bench, and a hammock. The final and topmost level simply had a big net slung over several branches, dangling over emptiness. I had never climbed trees as a child–but it had to happen sometime!